First let me say that you should never sleep in the co2 bath without supervision the entire time. 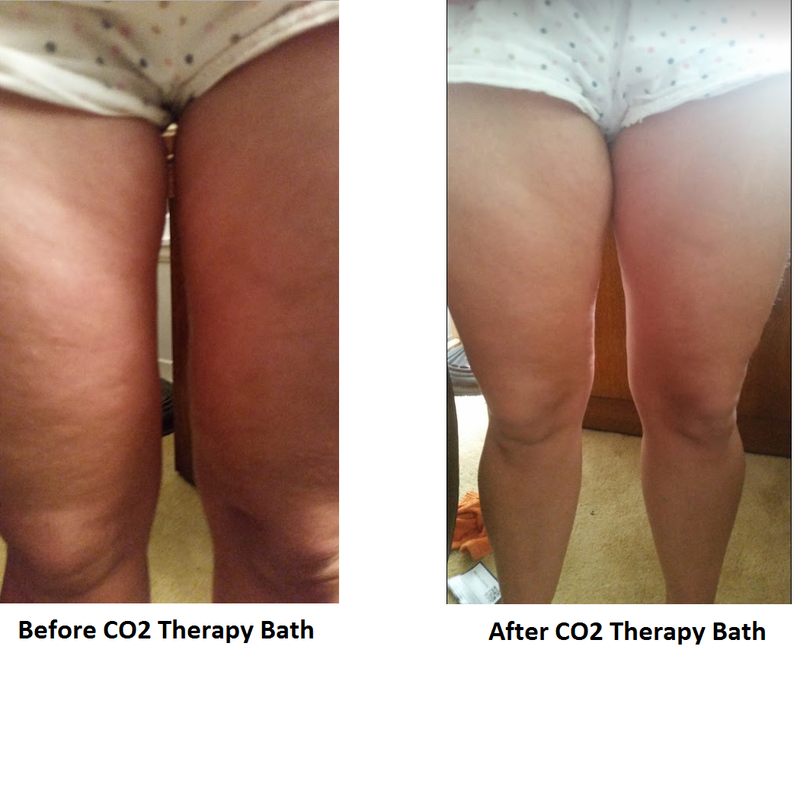 My girlfriend has used our CO2 Therapy Bath for two nights in a row overnight while sleeping. 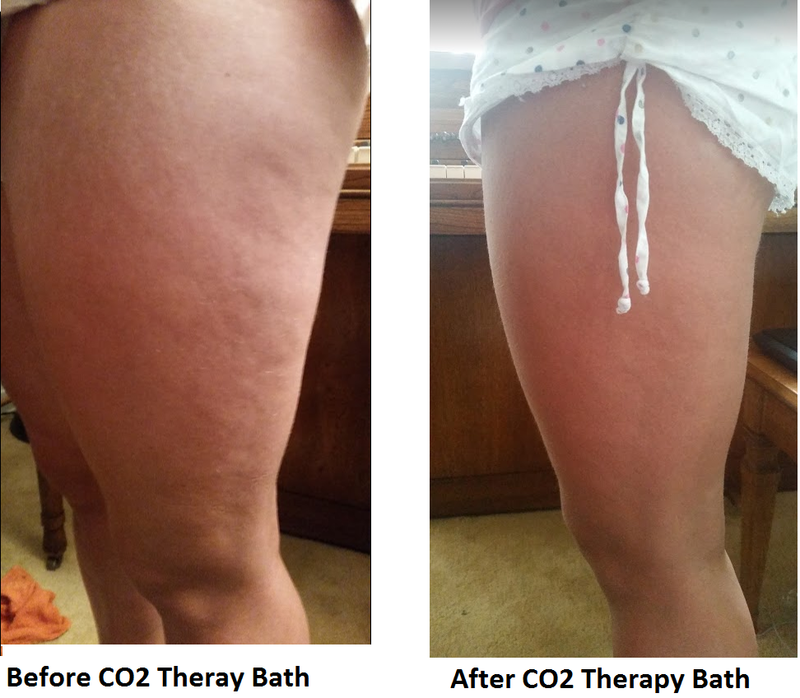 The first night we did not know what to expect, but when we woke up her skin looked noticeably more vibrant and the cellulite and spider veins were pretty much all gone. She only had small amounts of cellulite and skin imperfections but the changes in her skin were actually pretty dramatic. I posted about this on Facebook and I received a lot of interest and requests to see some before and after pictures. So the next night we did that. Below are the before and after pictures that I took. The before pictures are before we went to sleep and then the after pictures are soon after we woke up the next morning. I’m not a professional photographer by any means so the pictures are not perfect but I hope you can see the difference. Also the legs felt much firmer and softer. I took pictures of the front, side and back. The pictures of the back of the legs did not turn out very well but I hope you can see the difference. I’m not sure if the pictures do justice to but there was a noticeable difference in the look and feel of the skin on the entire body. The legs were probably the most dramatic. 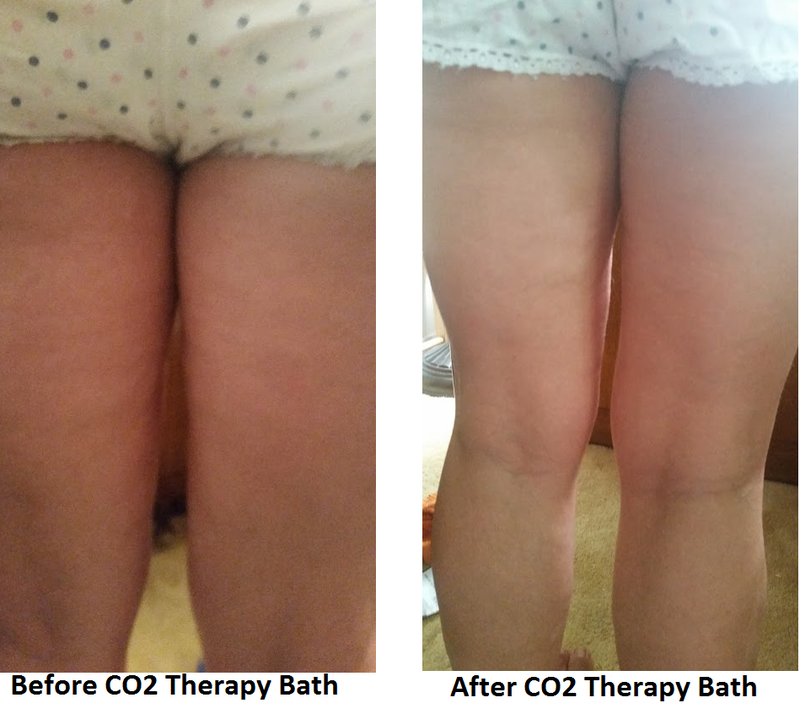 Another benefit of the co2 bath was a marked improvement in digestion. My girlfriend has what is called colonic inertia which is very slow transit through the bowels. It is a rare condition in where the colon ceases to function normally. In order to have a bowel movement she has been dependent on a drug called Linzess which she has to take daily. She normally takes it every morning upon a waking which clears out her bowels. However after sleeping in the co2 bath overnight, on both nights she had a normal bowel cleansing as if she had taken the Linzess. Other noticeable differences is she has woken up much less stiff and less body pain in her muscles. For the last couple of weeks she has had sore ankles and would have to walk down the stairs sideways because of the pain. After sleeping in co2 she no longer has ankle pain. Additionally she has more energy and happiness today as well. She has had to take Vyvanse for years to get her going in the morning in addition to some coffee or supplemental caffeine. However this morning she didn’t feel a need for either of those. I can’t say for certain whether this is from the co2 bath or not but time will tell. It should also be noted that while the changes in her skin are pretty dramatic overnight, her skin goes back to normal by late evening. However I suspect the more we do this the changes will become permanent. Already doing baths just a few times a weeks have shown permanent improvements in skin quality. I think doing overnight baths throughout the week will produce very dramatic and permanent results. I will keep updating the website as we continue to experiment and do the overnight baths.